The 6 Atlas Maps covering the Kingdom of Kaldor in eastern Hârn. 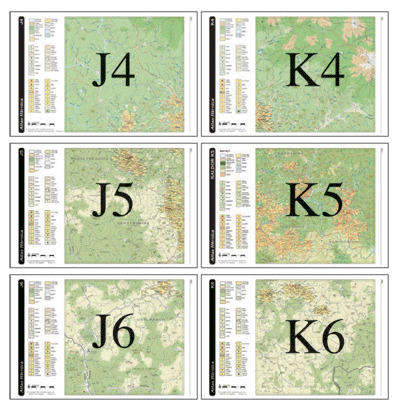 Maps included are J4, J5, J6, K4, K5, K6. All settlements listed in the Kaldor Kingdom book appear in these maps.